I'm a travel writer and photographer. I also call Edmonton, Alberta my home. I'm proud to. A writer in association with a certain well-known travel guide publisher has ruffled some feathers among Edmontonians of late (including the city mayor) with an article that casts unfair, negative judgment on Canada's most northern provincial capitol. Because said publisher's writing has become increasingly juvenile and under-researched, and their printed guides are more useful as fly swatters, it doesn't surprise me really that the author gave Edmonton little chance to show what a colorful, diverse, and exciting city it really is. Full disclosure: when my wife said she was offered a job in Edmonton, Canada, I had never heard of it. I imagined for some reason it was in New Brunswick. Looking at the Canadian map on my office wall, I was surprised to find a major city north of Calgary. We flew up in a few days, and over the course of less than a week during that initial visit, I became excited about the relocation. Edmonton is just the right size for me; it has some world-class restaurants, something interesting and fun is always going on, and it's surroundings are breathtakingly beautiful. Edmonton is Canada's festival city. There is something going on all the time, all year-round. Edmonton experiences more sunny days on average than any other Canadian city (Calgary included) and though winters are bitterly cold, one doesn't have to stay huddled indoors watching netflix for entertainment. There are over 60 events in the winter lineup this year, including but not limited to: the Rocky Mountain Wine and Food Festival, the Winter Wine Festival, New Year's Eve Downtown (featuring fireworks, food trucks, and live music), Luminaria ("a quiet oasis of peace and light"), the Ice on Whyte Festival ("Grab winer by the snowballs! "), and Flying Canoe Volant (a "creative, interactive, and cultural event that celebrates local history and everything that is great about a long winter's night"). Oh, and did I mention nature's own celebration of winter's majesty: THE NORTHERN LIGHTS, which can be seen just outside of town if not within the city itself on clear winter nights? 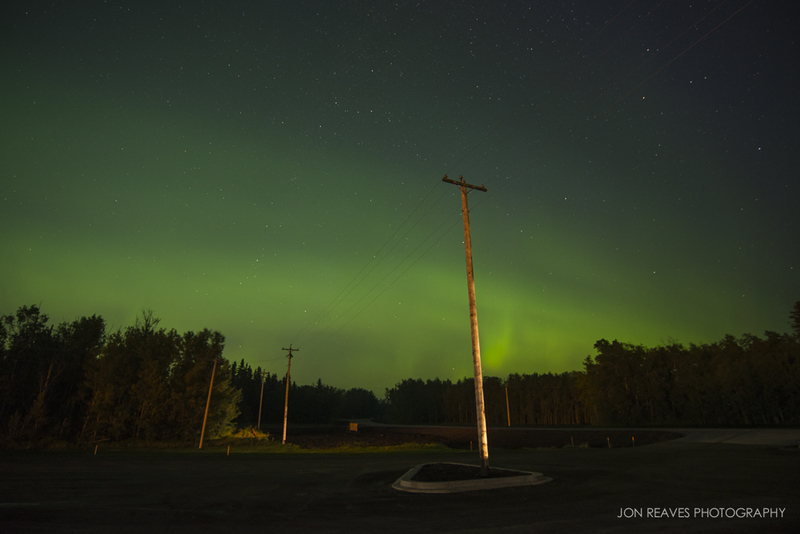 I've even seen the aurora light up the sky in mid-July. Beat that one Toronto. Not hardy enough for Edmonton's winter festivities? Come for summer and fall. There is literally and without any exaggeration something for everyone. This town is way more than hockey and the West Edmonton Mall (but if you love hockey and shopping, what better place to be?). 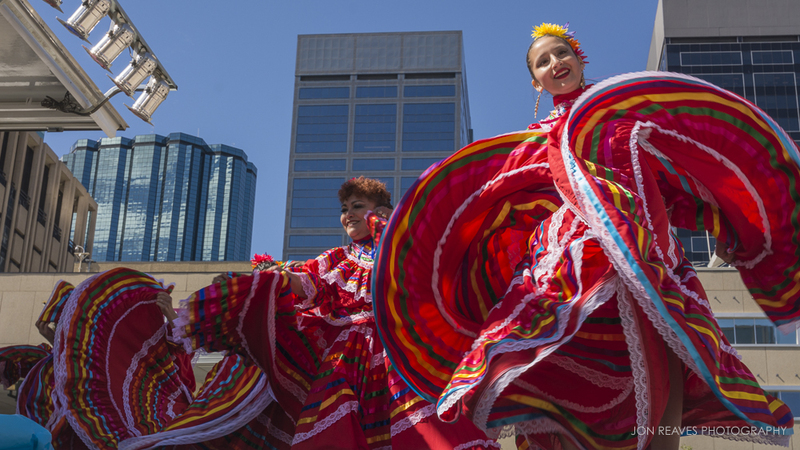 Edmonton celebrates its diversity through dozens (and I mean dozens) of festivals. There are well over 75 different events and festivals happening all over the city, which means that there are several going on simultaneously through the summer and fall seasons. Some of the more popular include: the Alberta Craft Beer Festival, the Edmonton Pride Festival and Parade, Edmonton Folk Music Festival, K-Days, Edmonton International Street Performers Festival, the Edmonton International Fringe Theatre Festival, the huge SERVUS Heritage Festival, and the Edmonton Latin Festival. It didn't take me long to find some really great restaurants in Edmonton. I'm hard-pressed to think of any region of the the culinary world that isn't covered here, or any new-fangled trend that isn't represented either (Chinese Crepes?!). The city's ethnically diverse population provides a variety of restaurant choices. Thai, Japanese, Indian, Mexican, Italian (both fancy and not so fancy), Korean, Ethiopian, Ukrainian, Czech, French, Chilean, Lebanese, Greek, American BBQ, authentic Chinese, it's all here! A couple of my favorites so far are Japonaise Bistro (a clean, modern sushi place that serves killer bento boxes), Tokiwa (a real all-Japanese ramen joint with a minimalist atmosphere and the best soups you'll get outside of Tokyo - say some reviewers), Bistro Praha (authentic and hardy Czech cuisine), and Meat (a delectable southern-inspired BBQ spot just off trendy Whyte Avenue). I'm actually about to meet my wife in an hour at a very popular Vietnamese restaurant she loves that is always packed. On a budget? There are food trucks everywhere on seemingly every corner of downtown, especially near the attractive Legislative Grounds. The diversity of food truck options is no less overwhelming than the amount of brick-and-mortar restaurants. Whether you want Indian street food, burgers, poutine, tacos, or just an old-fashioned Canadian "Beaver Tale", YEG's got you covered. If you're traveling to Edmonton and you're smart like me, you'll get a very reasonably priced Airbnb with a kitchen in downtown or in Old Strathcona. That way you'll be able to take advantage of the vast array of seasonal goodies at Edmonton's two largest year-round farmers markets. The market downtown is located on 104th street during summer and fall and moves into city hall for winter months. Summer is obviously the best time to take advantage of local fruits, vegetables, and sustainably sourced meats, but there's still lots of product available in winter. The Strathcona market is indoors year-round, and is conveniently located near the trendy shops and restaurants of Whyte Avenue. The aspect of the Edmonton area that carried the most weight for me in our decision to move here was the natural beauty both in, and surrounding, Edmonton. An unbroken chain of park-land ten times the length of New York's Central Park runs along the North Saskatchewan River dividing Edmonton in half. Popular activities on it's trails include hiking, running, cycling, snowshoeing, skiing, picnicking, kayaking, paddle boarding, and even golfing (if you're into that...). The river valley park system is only 3 blocks from my apartment and provides a welcome connection to the natural world when the city hustle and bustle starts grinding on my nerves. It has a feel much like the large parks of European cities- very calm and quiet. Just east outside the city limits by about 35 minutes is the nearest national park, Elk Island. Elk Island is home to large herds of free-ranging bison and elk. The park is peppered with beautiful lakes and hosts abundant waterfowl. 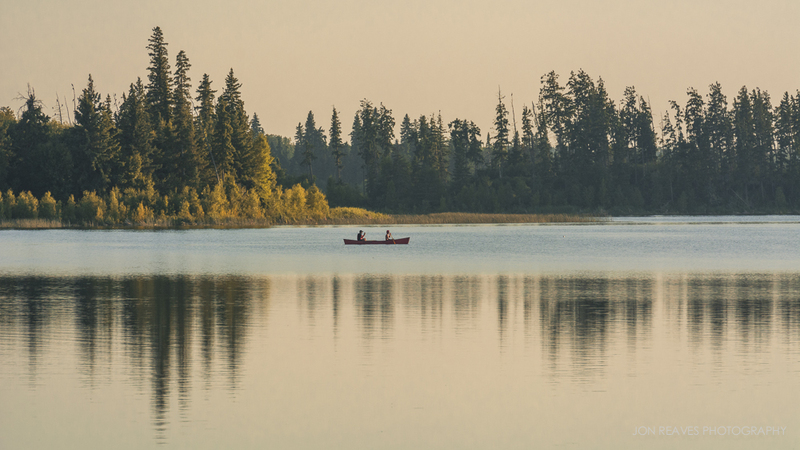 There are miles upon miles of hiking trails and huge lakes for canoeing. 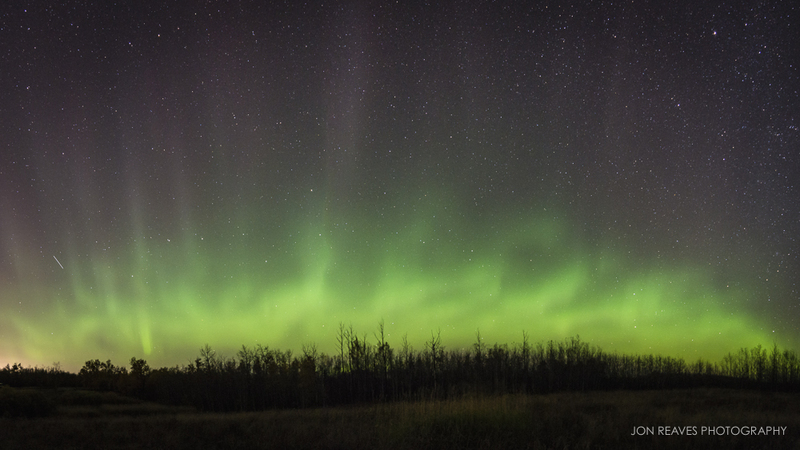 Elk Island National Park is also a great place to view the northern lights. Just down the road from Elk Island National Park lies the historic Ukrainian Cultural Heritage Village with real Ukrainian reenactors. The scene is set in the late 1800's and provides a glimpse into an interesting part of Canada's history. The village itself is located in the peaceful natural prairie among tall grass, birch groves, and native wildlife. 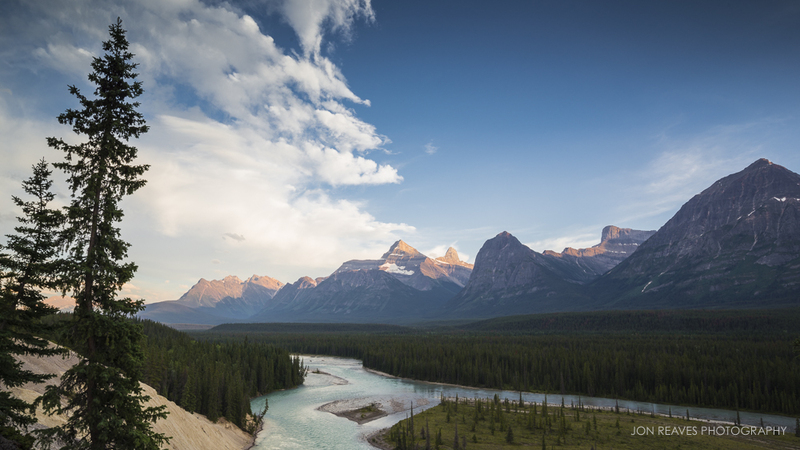 Just over three hours west of Edmonton via the Yellow Head Highway (16) lie the majestic Canadian Rockies and Jasper National Park. I've been fortunate enough to visit the rockies several times this summer and I don't think I'll ever tire of them. I've been able to photograph more wildlife (between Jasper and Elk Island) in the short time I've been in Edmonton than I did in 10 full years living in the Appalachian woods. Simply put, the natural surroundings of Edmonton, Alberta are a photographer's paradise. Edmonton has loads of character - more so than many other North American cities I've been to of similar size. It doesn't usually strike people as a hip and trendy place, like say Toronto or Montreal, but maybe that's partially because it doesn't "insist upon itself." It might not be the most striking city architecturally (though I find the hodge podge mosaic of architectural styles visually interesting), but it's got all the essentials like shopping, world class museums and art galleries, innovative chefs, and live music venues both large and small. It's a blue-collar town with hardworking locals and immigrants trying to build comfortable lives. There's some money here for sure, because of the oil industry and other growing sectors of the economy, but Edmonton is not glamourous. It's real. What you see is essentially what you get, but as every good travel writer should know, it sometimes takes a little digging to find out what is truly special and worth writing about a place. This is the north, it's not for everybody, but it works for me.